This week at Bungie, we restored the Thorn in your side. If you can remember your first revive in Old Russia, other memories of Thorn may plague your nightmares from time to time. This week, those same nightmares returned in full force. If you’re a Guardian who’s new around these parts, get ready to feel the sting. If you’re the type of player who wants it all, or you're an all-out lore collector, you can make a different pledge on alternate characters. Just remember that your choice will last. You can either side with a slick-talking Drifter or be like me and side with those who protect the last safe city and its people. There’s no bias here, I swear! Last week, Reckoning tiers 1 and 2 went live, bringing players to the plane of the Nine. Tomorrow, tier 3 will become available, opening the chase to fully unlock your Gambit Prime perks. This activity will have a Power level requirement of 680. Players will need to fully upgrade their synthesizer to enter. Modifiers are also active in this playlist, so be ready to mix your arsenal up for the challenge. Matchmaking will continue to be available if you’re looking to take on the challenge without a pre-made fireteam. Things may be a little trickier without strategy or communication, so prepare for some white-knuckles as you race the clock to eliminate the darkness. We’ll be watching, as will the Nine. Speaking of the Nine, Invitations of the Nine also begins tomorrow. To begin, you’ll need to track down Xûr. In addition to his Exotic inventory, he’ll also offer a quest item for you to complete each week, for up to nine weeks. Each week you engage, you’ll be invited to learn more about the Nine and unlock lore pages to dive deeper into their story. With Season of the Drifter little more than a week old, we’re tracking down some bugs to squash and quality-of-life to address. We’ll be deploying hotfixes and updates, along with some back-end server changes to help keep things fresh. Here’s a quick list of changes specific to Gambit, Gambit Prime, and Reckoning that are currently in-flight. With the release of this very blog article, Gambit received some updates to matchmaking. Gambit is a team based activity and as such, players who are in a pre-made fireteam have a communication advantage. To offset that advantage, we've raised the internal skill rating of pre-made fireteams to pull in higher skill enemies to fight against. With this change, even as a solo player, you'll still have a chance. Plus, your other matched fireteam mates should be higher skilled as well. Solo players of low skill should expect to match other solo players more frequently. Higher skill teams will also match teams more frequently. Shortly after the release of Gambit Prime, players began filling their inventory with Prime Armor Synths. Tentatively planned for Hotfix 2.2.0.2, players will be able exchange a stack of 5 Synths for 100 Glimmer with the Drifter. The intention of this isn’t to give players a means of acquiring large amounts of Glimmer, but strictly to help address inventory issues. In early playtests at the studio, Prism proved to be more challenging than intended in higher Tiers of Reckoning and we planned to remove it in the first patch proactively. When we launched last week, we collected some fairly positive feedback with Prism and wanted to react quickly and remedy that change. Since Glass seemed more problematic, we wanted to take action there too. Tentatively planned for Hotfix 2.2.0.2, we will be replacing Glass with Prism. Tier 3 goes live tomorrow, so we’ll continue to monitor feedback and make adjustments as needed. As with all things in development, any of these forecast changes could be altered or delayed. For the most current information on our plans and progress, stay tuned for patch notes. Week in and week out, Player Support is at the ready to lend a helping hand when issues arise in Destiny 2. This week, they have some vital information for those preparing to pick a side in the Allegiance quest. No, they’re not telling you to pledge to the Vanguard (even though you totally should), but making sure your experience is smooth and issue free. In last week’s Player Support Report, we highlighted an issue where some players’ weekly bounties for Ada-1 and Petra Venj did not refresh at the weekly reset, instead refreshing the following Sunday. With the conclusion of this week’s maintenance, we expect this issue to be resolved. Drifter’s Weapon Pursuits: Fixed an issue where the pursuits for Malfeasance and Breakneck were not progressing as expected in Gambit and Gambit Prime. “The Best Offense” Triumph: Fixed an issue where the Triumph “The Best Offense,” which awards Oxygen SR3, wasn't counting the correct number of Orbs of Light generated in strike activities. Gambit Maps: Fixed an issue where Blockers were not spawning on Kell’s Grave and Cathedral of Scars. These maps have since been re-enabled in the Gambit playlist. For the full list of issues resolved in Tuesday’s hotfix, players should visit the Destiny 2 Hotfix 2.2.0.1 patch notes. 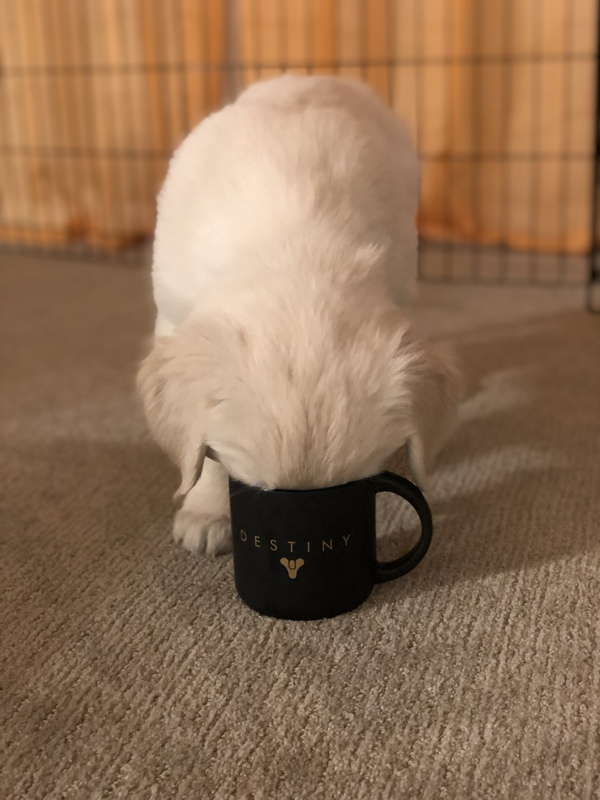 This week, players who own the Destiny 2: Forsaken Annual Pass are being asked to make a choice; pledge to the Vanguard, or side with the Drifter. Since this ultimatum has gone live, Destiny Player Support has monitored reports regarding an issue where players who make their choice while they have a full Pursuit inventory are not receiving either quest item, regardless of which side they chose. We are currently working to resolve this issue in an upcoming hotfix. In the meantime, all players should ensure they have space available in their Pursuits inventory prior to accepting either of these quests from the Drifter. As always, we’ll be sure to sound off with more information when it's available. Whether you choose to stand tall with the Vanguard or join the Drifter’s crew, we’ve got the details you need on the latest known issues in Destiny 2. Allegiance Quest—Titan Adventure: Players should be aware that the beacon for launching the Titan heroic adventure for the Allegiance quest is not the usual heroic adventure beacon, but is instead near it in the same room. Allegiance Quest—Banking Motes: We are investigating an issue where Motes banked in Gambit are not progressing this quest step. Currently, only Motes banked in Gambit Prime are applying progress. Allegiance Quest—Tapes: We are investigating an issue where players can become blocked from progressing their Allegiance quest if not all tapes are successfully scanned in the EDZ. Power Surge Bounties: We are investigating an issue where the Power Surge bounties can expire after 7 days, and are not recoverable if they are deleted. Warlock Ball Lightning Melee: We are investigating an issue where the Stormcaller Warlock’s Ball Lightning melee ability isn't activating perks on some weapons, Conduction Tines on Crown of Tempests, or Vampire’s Caress on Karnstein Armlets. Iron Banner Rolls: We are investigating reports regarding an issue where some Iron Banner weapons may have re-rolled perks after Update 2.2.0. Delayed Dragonfly: We are investigating reports regarding an issue where the explosion caused by the Dragonfly weapon perk is delayed slightly. Finding Thorn: Players will not be able to receive the quest item for Thorn if their Pursuits inventory is full when they investigate the world object. For the running list of all issues tracked by Destiny Player Support, players are encouraged to visit our Destiny 2 Known Issues help page. Players who encounter other issues should report to the #Help forum. When reporting a gameplay issue, providing screenshots, captured video, or repro steps will help Destiny Player Support investigate your report.